Bohemia. Today the three of us, Nathan, Kristen and I all headed off to the amazing city of Prague. Before I got there I had read quite a bit about the city. It's beautiful they say, you have to go see it they say, it's well preserved they say, it's cheap they say. It was all true. Except for the cheap part, but the essential characteristics of beauty and historical significance were true. However, Prague is no longer off the beaten path for tourists as there were large crowds and the accompanying prices to match (though still cheaper than Western Europe). Still it is a place I am absolutely glad to have visited. Starting the day off we headed off to the center of the city from our hotel right outside the main part of the city. Our first stop was a beautiful garden with fantastic landscaping and peacocks. Yes there were a lot of peacocks including a white one who was trying to continually fight a pigeon. After we headed up to the Prague Castle and checked out one of the main sites of the city. We saw the changing of the guards, got a great view of the city and then headed back down. Once finished we headed off to lunch and thanks to Nathan had a great meal of dumplings, goulash and the like. We then headed out to wander around the city and take in the local architecture. We checked out the Charles Bridge and much more. After a long day of running around we headed back here to our hotel for some much needed rest. We woke up this morning nice and rested. Our mission today was to explore the city of Dresden. We had gotten in later yesterday and decided to take some much needed rest rather than check out the city. In a way the rest was good, however I wish we had more time in Dresden. 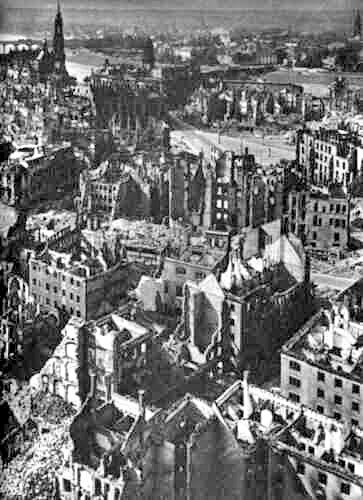 It was a phenomenal city and has come a long way from the 13 of February in 1945. Starting off, we wandered into the city past the Hauptbahnhof and emerged into the old town right by the Frauenkirche. We then walked around the old city some more and saw all the sights it had to offer. It's hard to put what we saw into words. Basically though, it was gorgeous. It didn't seem like it was over the top, but rather good looking without trying. Rather than being a Disneyland, it was more like a natural park. It's hard to explain, but it was enjoyable and a place I would recommend everyone to visit. Afterward we headed outside the older part of city and went to the Volkswagen Phaeton factory. Once there we convinced them to give us a tour in English and spent the next few hours taking a look at the assembly line of the Euro 100k+ car. Once finished we walked through a huge park after our lunch of 1/2 chicken and cucumber salat. From there we walked back through the city and hung out under some overhangs to avoid the rain. After, we made our way to Prague. I fell asleep as soon as we got on the train. When I woke up I wasn't sure if we were in Germany or in the Czech Republic. However, when I looked out the train window we were in the countryside with many old building AND Communist era apartment houses. So then I knew we where there. Once we got to Prague, we met up with Nathan and got some delicious Czech food to cap off our day. Not too bad, we're all looking forward to see what tomorrow has to bring.